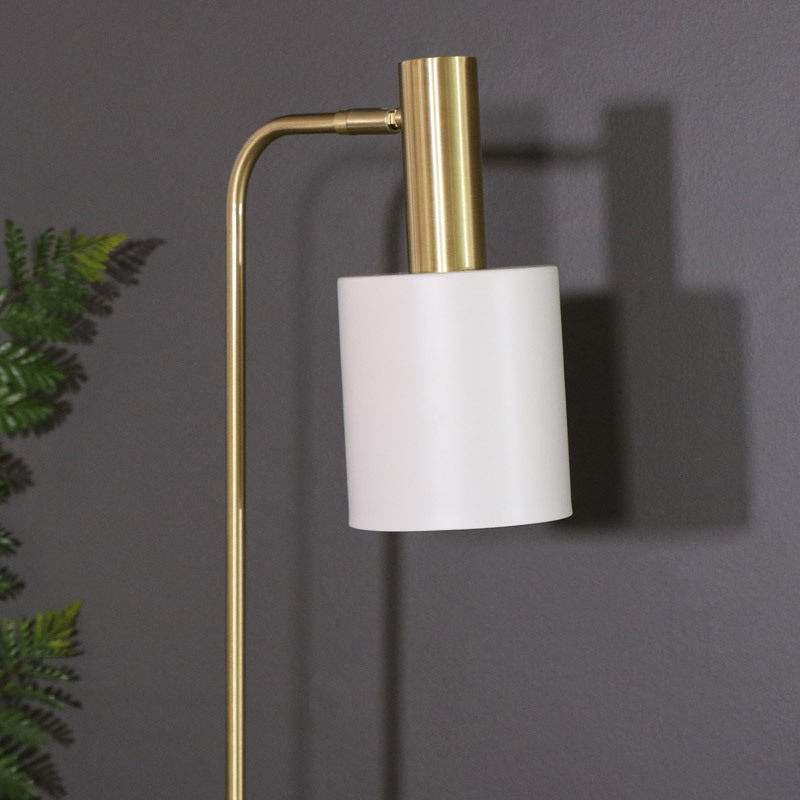 This tall floor lamp will be the main focal point in any room with its satin gold slim metal frame which is met by an elegant white solid marble base. It is both unique and modern. Let this contemporary chic lamp brighten up your living room, bedroom or hallway. It’s finished with a white metal cylinder shade which is fixed onto an adjustable arm putting you in control of the spot light! This is a stylish floor lamp that will not only provide additional lighting but will also look fantastic in the corner of the room. 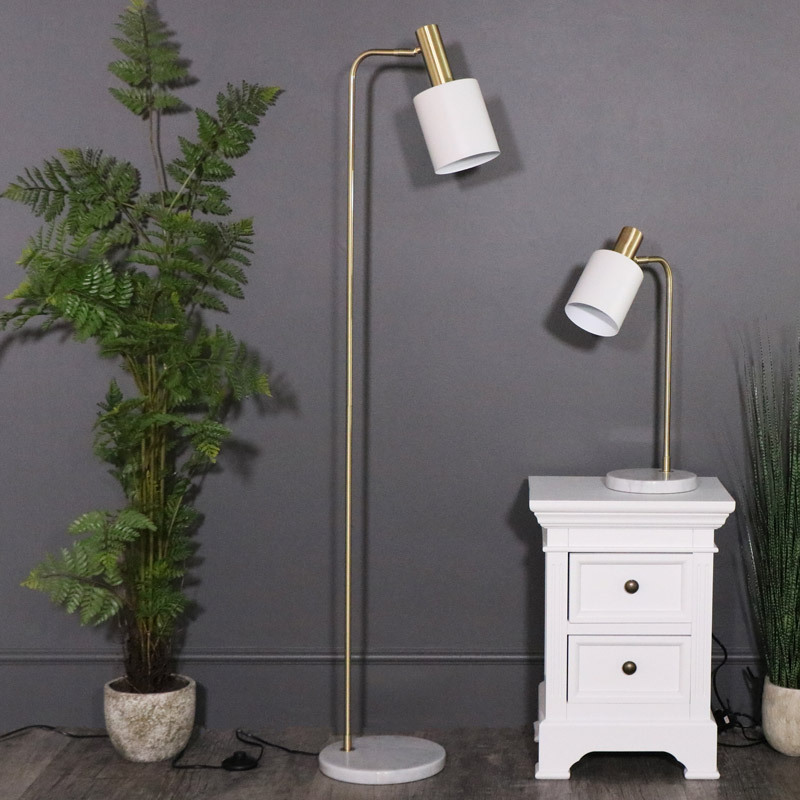 This tall floor lamp will be the main focal point in any room with its satin gold slim metal frame which is met by an elegant white solid marble base. It is both unique and modern. 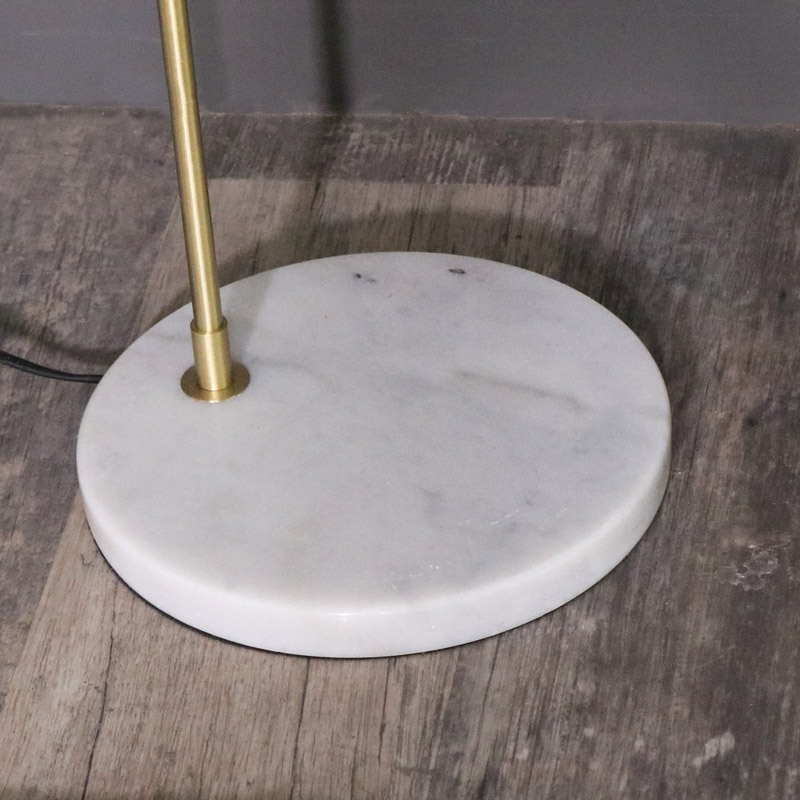 Let this contemporary chic lamp brighten up your living room, bedroom or hallway. It’s finished with a white metal cylinder shade which is fixed onto an adjustable arm putting you in control of the spot light! This is a stylish floor lamp that will not only provide additional lighting but will also look fantastic in the corner of the room. The lamp has an inline switch which is easy to access. It takes a ES Candle 12W Bulb which is not included. It’s overall height 143cm with a base width of 25.5cm and a total depth of 30cm. We have an extensive range of lighting available to help brighten up your home and in many different styles.